Inflammation can cause a whole host of health issues. Choosing anti-inflammatory foods can help minimize inflammation naturally, leading to better overall health. A number of foods may better help you manage inflammation, leading to better health. These foods have been deemed "anti-inflammatory," and are part of an overall healthy diet. Note that not all of these foods are endorsed by the FDA as anti-inflammatory. When in doubt, speak to your physician. 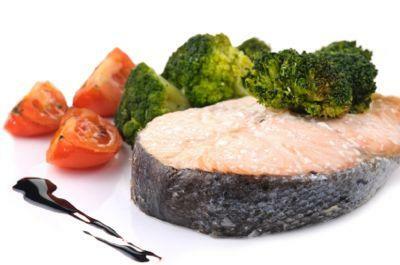 Fish and other seafoods are rich in omega-3 fatty acids. Studies show that omega-3 fatty acids can reduce inflammation in the body as effectively as anti-inflammatory medications such as NSAIDS (non-steroidal anti-inflammatories). Like fish, walnuts are high in omega-3 fatty acids. Adding an ounce of walnuts or a tablespoon of walnut oil to the foods you eat may help reduce inflammation. Researchers believe hot pepper contain capsaicin, which has anti-inflammatory effects. A 2003 study in the medical journal Cellular Signaling demonstrated that capsaicin exhibited anti-inflammatory effects. According to the American Society for Nutrition, chia seeds (salvia hispanica) are high in omega-3 fatty acids. When soaked in liquid, chia seeds form a gel. Try soaking chia in almond milk and then combining with berries for a delicious smoothie. Ginger has broad anti-inflammatory effects, according to a 2005 article in the Journal of Medicinal Food. Adding grated gingerroot to your foods may reduce inflammation. Another super spice, turmeric is a powerful anti-inflammatory according to the University of Maryland Medical Center. Try some curry, which contains turmeric. You can add flax seeds to your breakfast cereal, sprinkle them over fruit, or blend them into a smoothie. These small black seeds are high in inflammation-reducing omega-3 fatty acids, according to the Mayo Clinic. These flavorful berries are high in omega-3 fatty acids and antioxidants, according to the Memorial Sloan-Kettering Cancer Center. You can buy the berries frozen or try one of the many all-fruit acai juices available at the grocery store. This delicious grain is high in fiber and protein and has a low glycemic load. According to a study performed at the Fred Hutchinson Cancer Research Center, eating a low-glycemic diet rich in fiber reduces biological markers of inflammation such as C-reactive protein. A 2012 study on men with prostate cancer showed that green tea reduced the biomarkers of inflammation in test subjects. You don't need to consume caffeine to have a daily cup of green tea, however. There are many decaffeinated varieties available at the supermarket. Fighting inflammation by minimizing pro-inflammatory foods and eating more anti-inflammatory items can improve your health. As an added bonus, an anti-inflammatory diet contains nutritionally dense foods such as vitamins, minerals, fiber, enzymes, and phytochemicals that support overall good health.